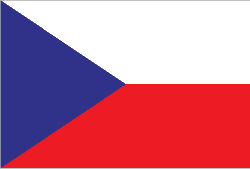 The Czech Republic is a party to The Hague Evidence Convention and prior permission for taking depositions of Czech Republic citizens is not required. With court reporters living throughout Europe, Planet Depos is ready to assist you with your Czech Republic depositions at any time, though we do suggest allowing 4 to 6 weeks for scheduling and planning due to the logistics involved. Depositions in the Czech Republic are straightforward and easy by following our deposition checklist. Planet Depos offers cost-effective and reliable realtime, transcription, and related services for arbitrations in the Czech Republic. We provide modern and convenient conference rooms all around the world. Be sure to review our travel tips for the Czech Republic prior to planning your trip.